We were founded in 1985 and specialize in commercial contracting. Our projects include new construction of shopping centers and office buildings, tenant improvements (large or small), restaurants, canopy enhancements and landlord scope of work improvements. We also do budget pricing of future projects. We can meet with prospective tenants to negotiate reuse of existing fixtures as a cost saving tool to make a workable lease deal. 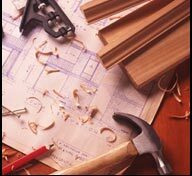 We have also built apartments, tilt-up construction, block masonry buildings and site work projects. So you can see we are able to do most projects and, be assured, we are competitive and get the job done on time. Check our references. Please contact us and allow us to bid your projects, small or large, we just want to prove ourselves to you.